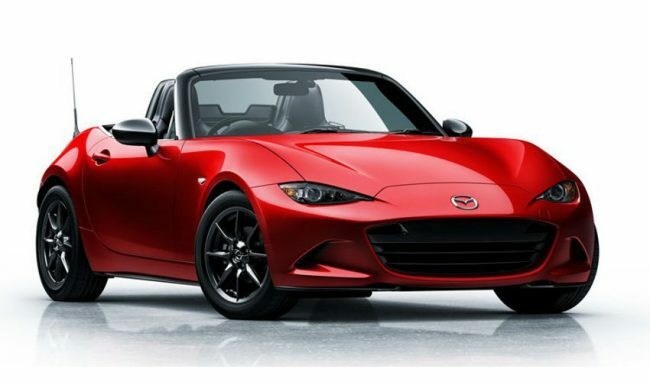 Mazda uses that 1.5-liter Skyactiv engine in other cars, but it was heavily reworked for duty in the Miata. The result, I’m told, spins beautifully to its 7500-rpm limiter and suits the lightweight character of the ND perfectly. But Coleman knew 1.5 liters wouldn’t be enough for the US. In Japan, where traffic is generally slower and less aggressive? Sure, but not here. He strongly advocated for the 2.0-liter, and Mazda bosses relented. But, that decision came towards the end of the ND’s development, which ended up meaning the big engine didn’t get nearly as much finessing as the 1.5. There isn’t anything wrong with the ND Miata’s original 2.0-liter—it’s got great throttle response, and a nice broad torque curve. But insiders—including Coleman—knew the 1.5 was better. Mazda put so much work into taking the Miata back to its roots, and the tiny, zingy engine was a huge part of that. So shortly after the ND launched, the engineers went back to the drawing board to give the 2.0-liter the attention it never originally got. There’s also a new trim—GT-S. It’s essentially a more luxurious Grand Touring model with the stiffer suspension and limited-slip differential of the Club model. I still think the sweet-spot is the Club with the optional BBS/Brembo/Recaro package, which gets you gorgeous wheels, better brakes, and comfortable, supportive seats.